That's right, wood offers superior heat insulating properties and is ideal for reducing heat transfer to the carburetor. Use open spacers where more volume or more carb-to-plenum floor distance is required. 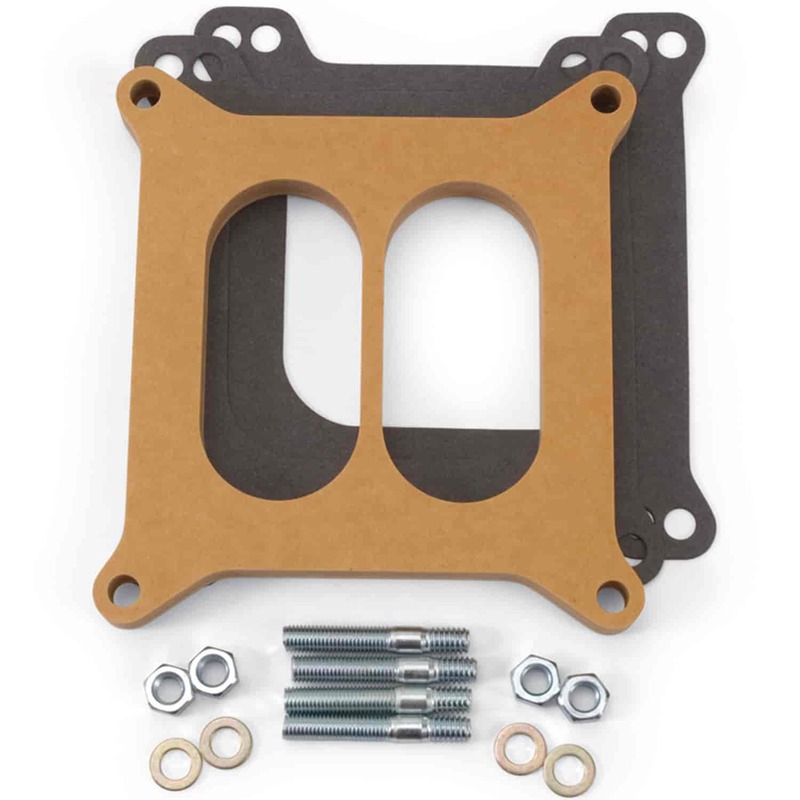 4-hole spacers enhance low-RPM torque and throttle response and damper reversion effects on the carburetor. 8725 is rated 4.7 out of 5 by 3. Rated 5 out of 5 by Surfr71 from I recently installed a 1406 on an Edelbrock intake and began experiencing difficulty starting when warm. The Edelbrock Tech identified the problem as hot gas due to the hot motor. He suggested the wood composite adapter as a fix. I’m happy to say that the adapter fixed the problem. Great product!